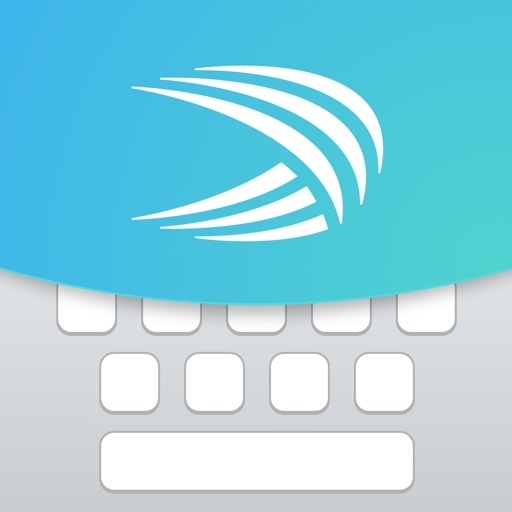 SwiftKey is the most unique keyboard application in the Play Store or the App Store. 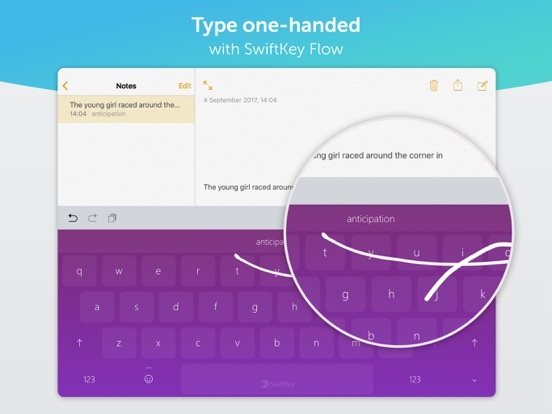 Users who want a better keyboard must begin their search for something that is easy to use, and nothing is simpler than SwiftKey. This was once a paid application that is now free and comes in several versions, with customizable purchases you may make in the app. 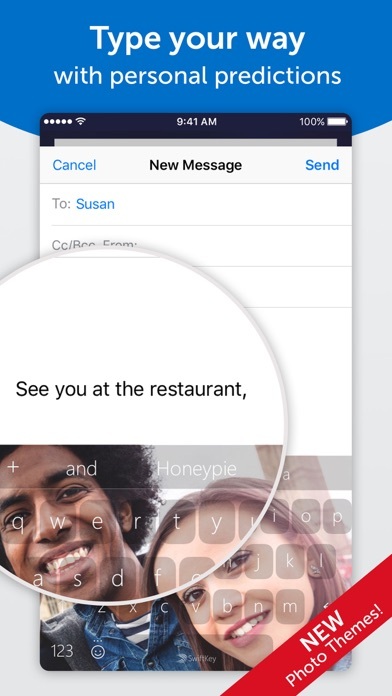 The Swype keyboard is one of the most important features of any phone users who text. 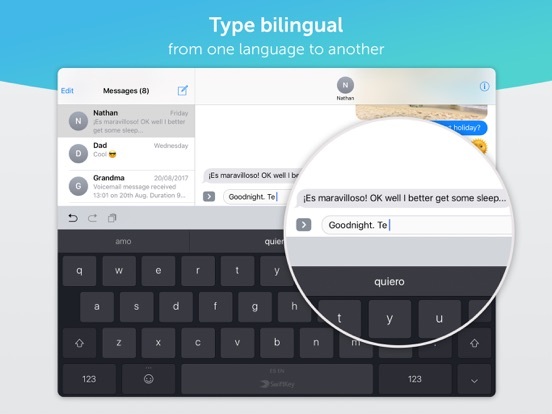 Texting is much simpler with a Swype, but these keyboards are not native on all phones. 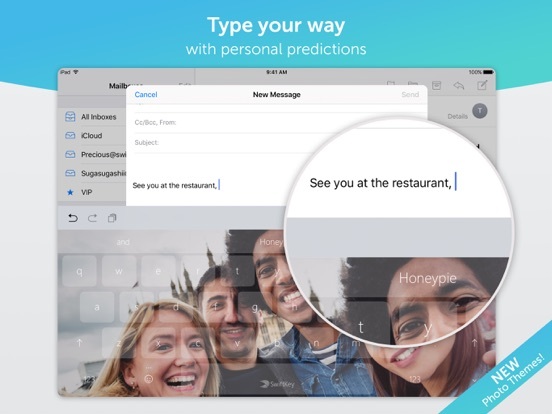 SwiftKey allows you to set up Swyping, and it will enable it once you start the app. 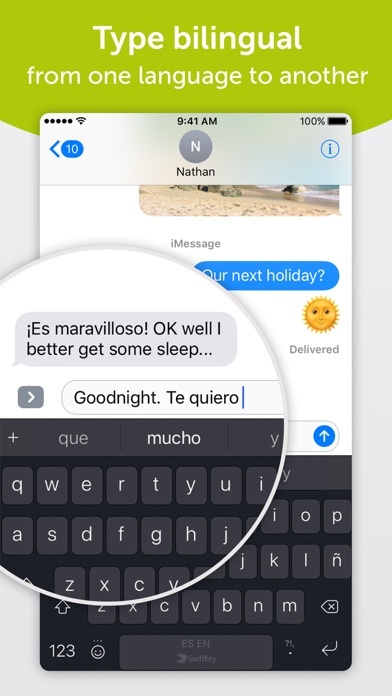 You may turn off Swype at any time, and you will be taken to the settings on your phone to turn off the native keyboard. 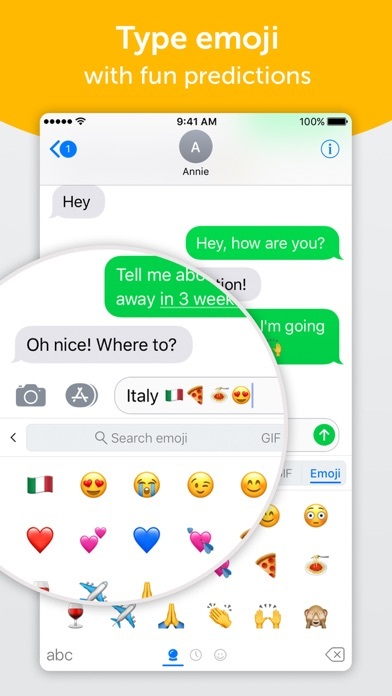 The keyboard you type with may be customized with colors and patterns that you choose in the SwiftKey store, and you may alter the layout of the keys based on your personal preferences. Every user has their own preference, and you may continue to adjust the keyboard until you are pleased. You may purchase as many keyboard colors or patterns you like, and there are free colors that may work quite well for you. The app asks you to sign in with Facebook or Google, and the app will keep track of your keystrokes and your personal library. Your personal library may be adjusted at any time, and you may eliminate nonsense words that are predicted by long-pressing the words that are predicted. 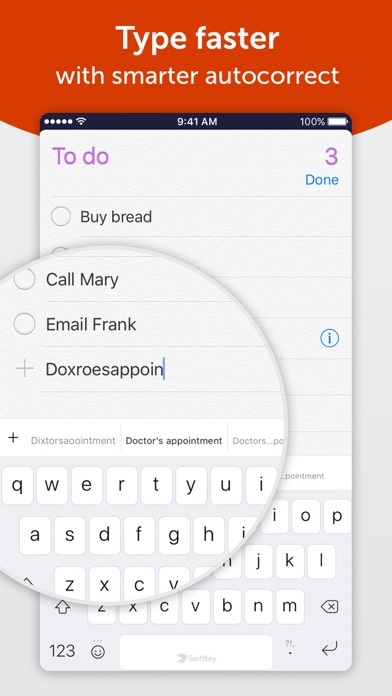 This app does not autocorrect words for you, but the app lets you choose the proper word from the bar above the keyboard. This app has a beta version that lets you try the new versions of the keyboard before they are released to the public. 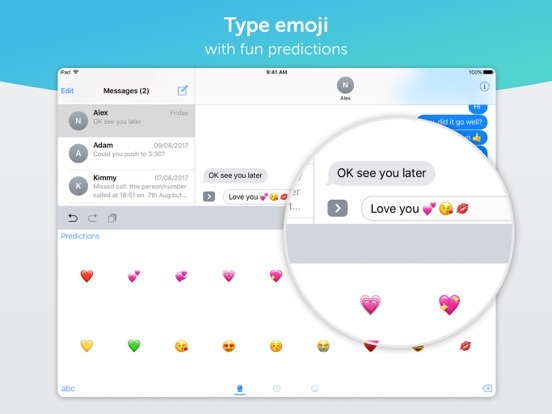 You may try the AI version that learns in a new way, and you will receive better predictions on the app. You may download all three versions of the keyboard if you choose, and you may begin typing immediately. 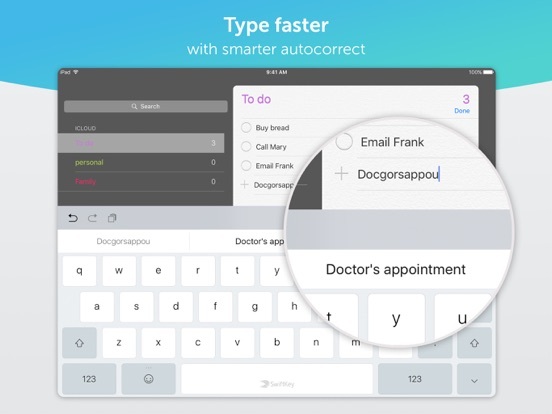 Every user who tries the SwiftKey keyboard will type faster and more accurately. 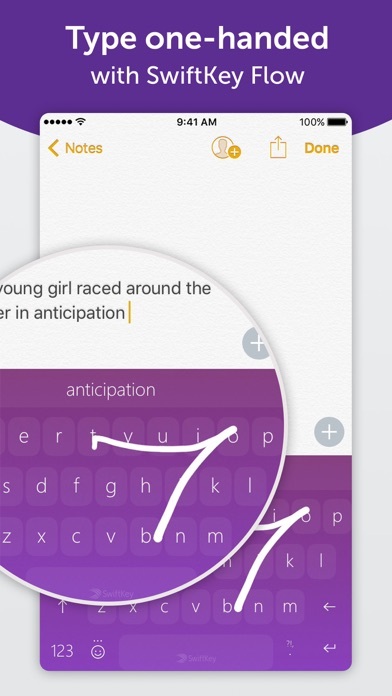 Swyping is simpler with SwiftKey, and the customization makes the app appealing to all users.